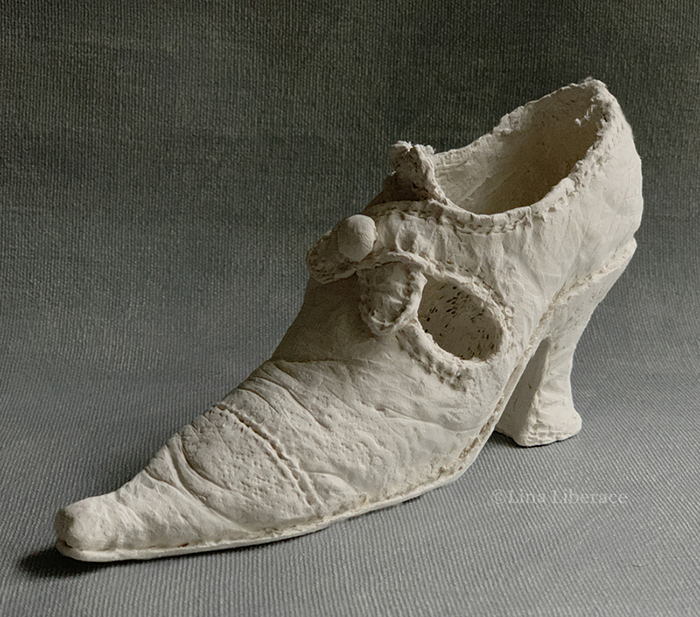 “Jane’s Sister,” paperclay and cotton, 6×2.5 in. 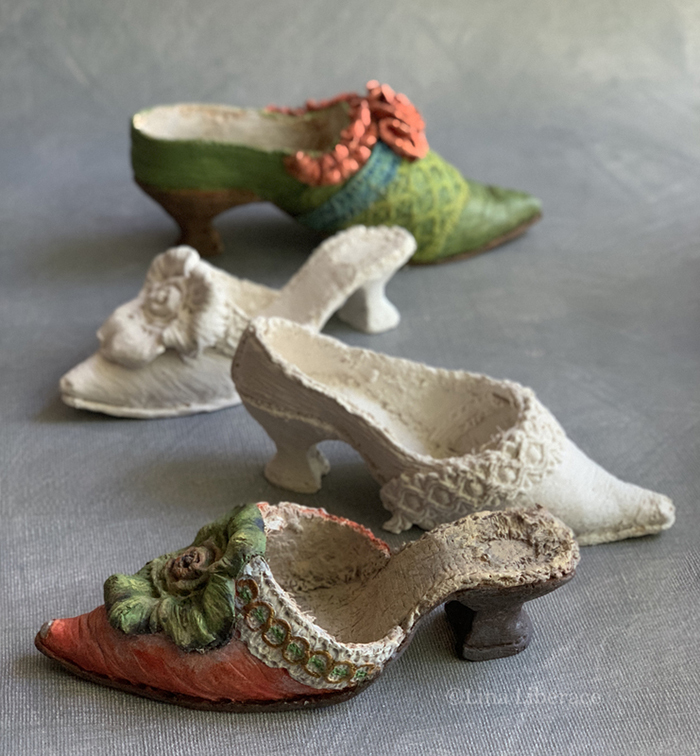 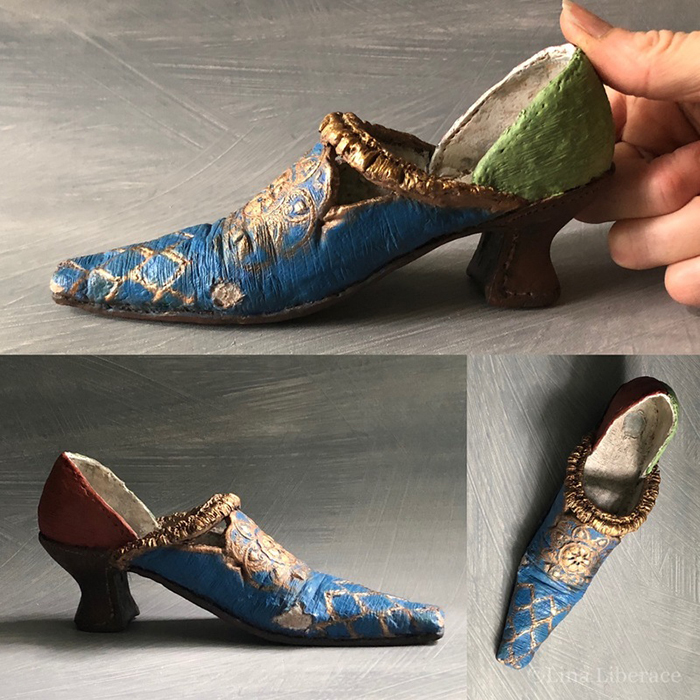 19th century English shoe, paperclay and acrylic, 5.5×2 in. 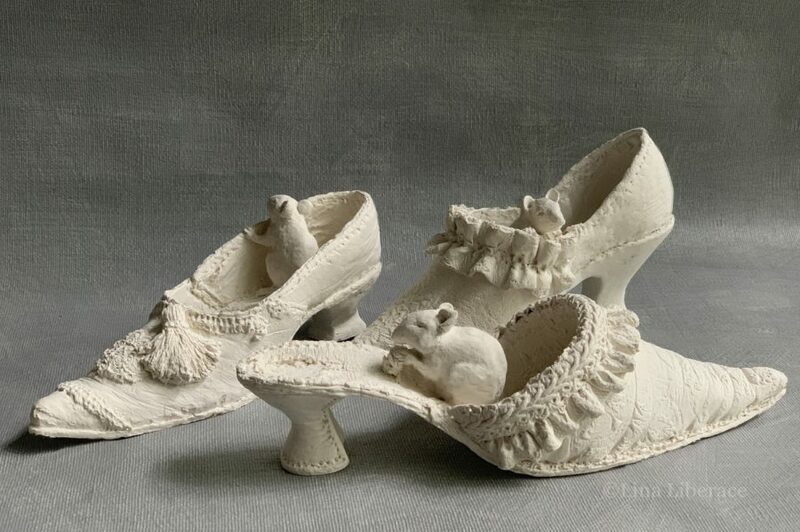 “Persimmon and Mouse”, paperclay, 5×2.5 in. 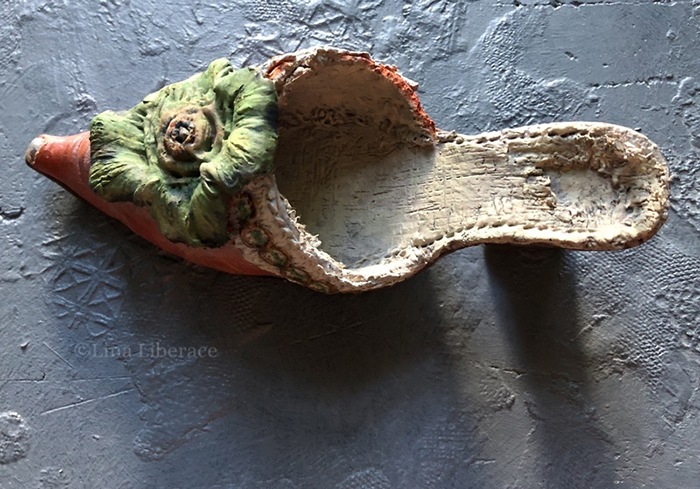 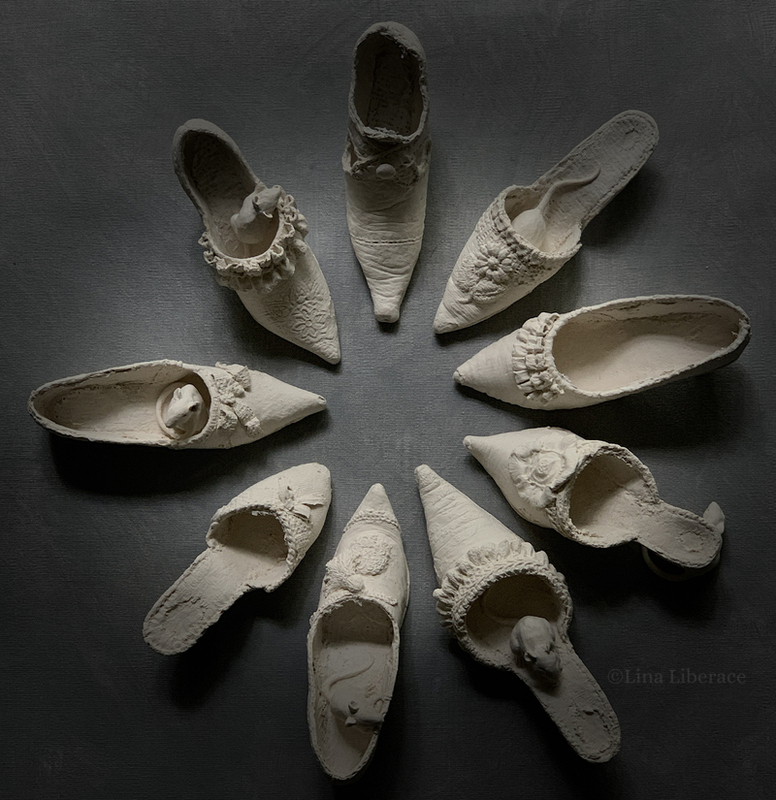 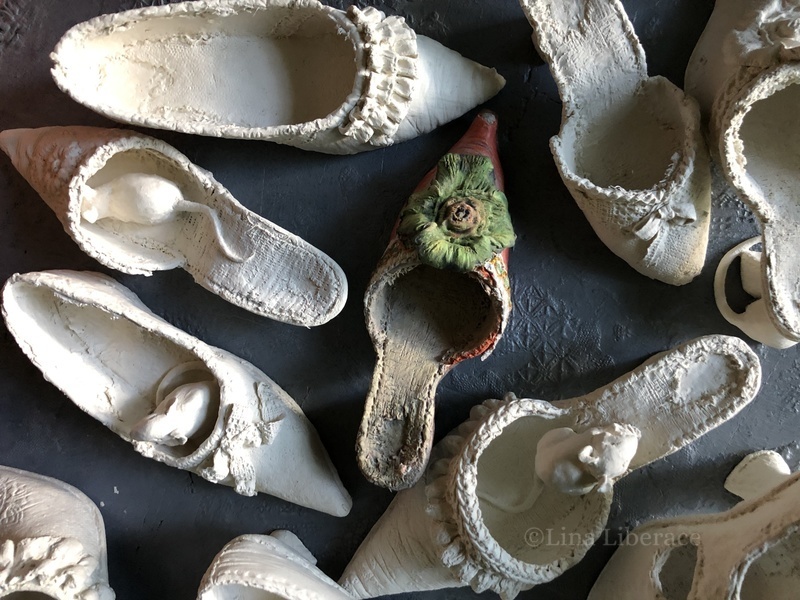 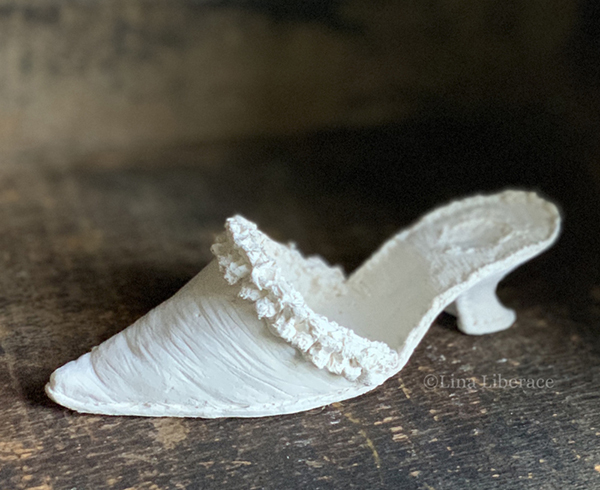 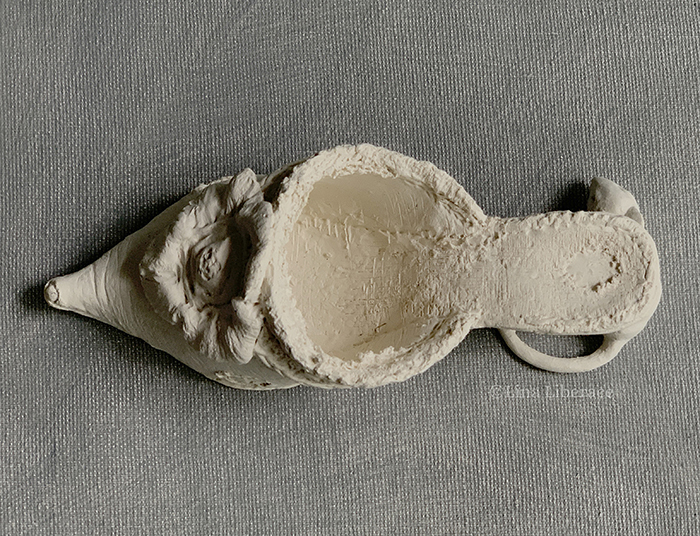 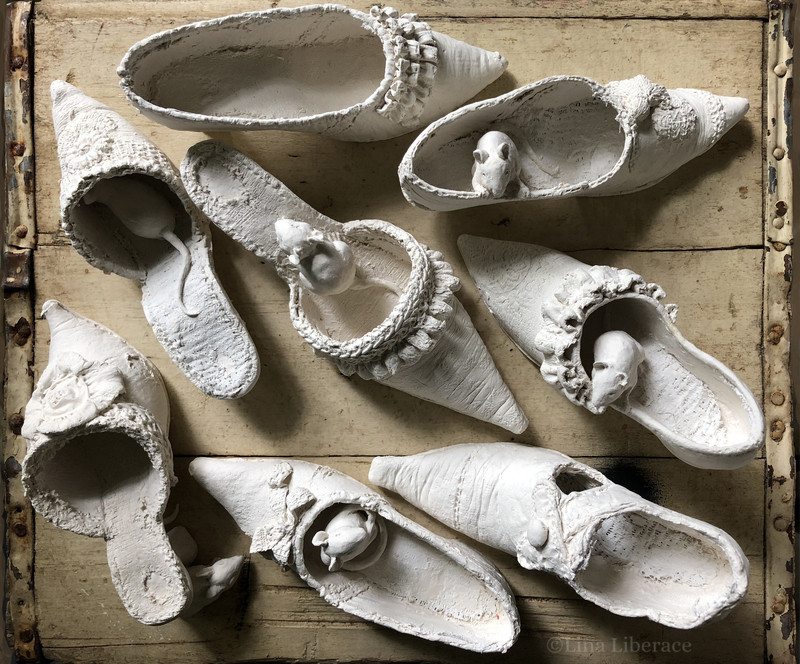 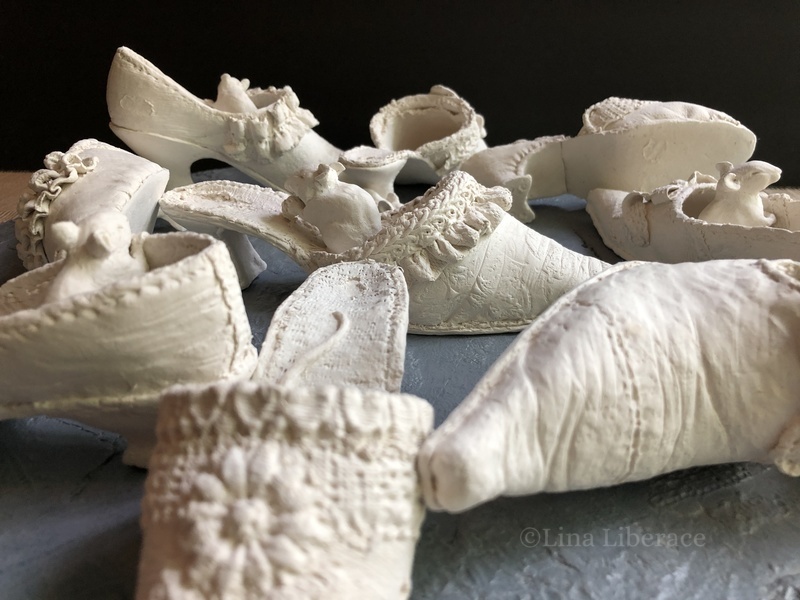 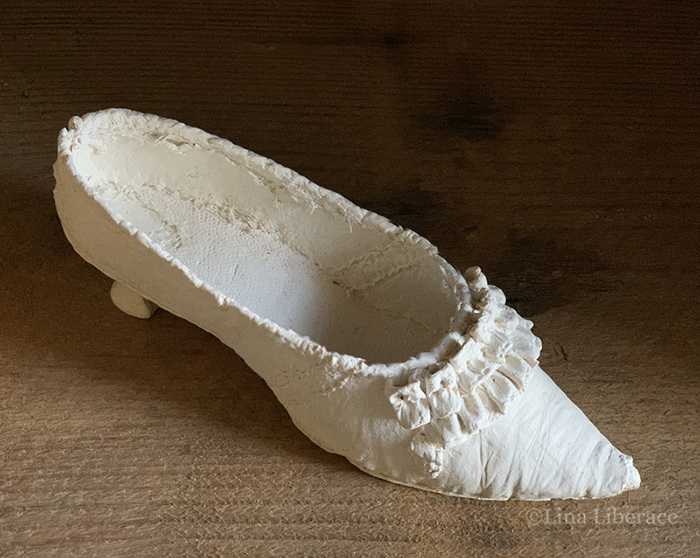 17th century English woman’s shoe, paperclay, cotton, and acrylic, 6×3 in. 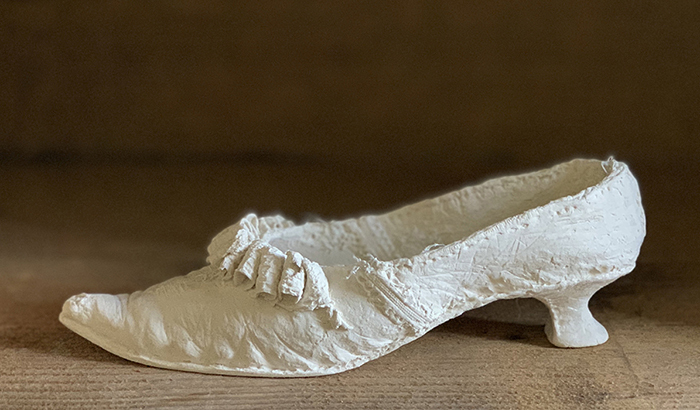 “Long Mule,” paperclay, 7.5×2 in. 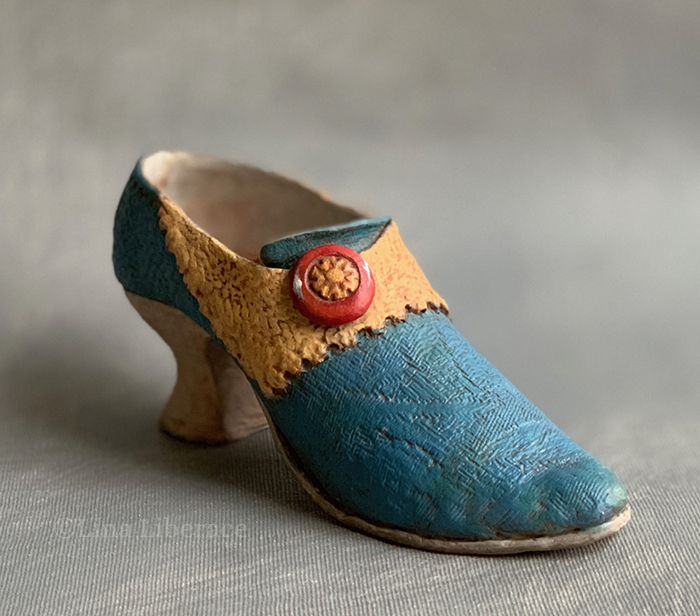 “Jane Austen,” early 19th century English shoe, 6×2.5 in. 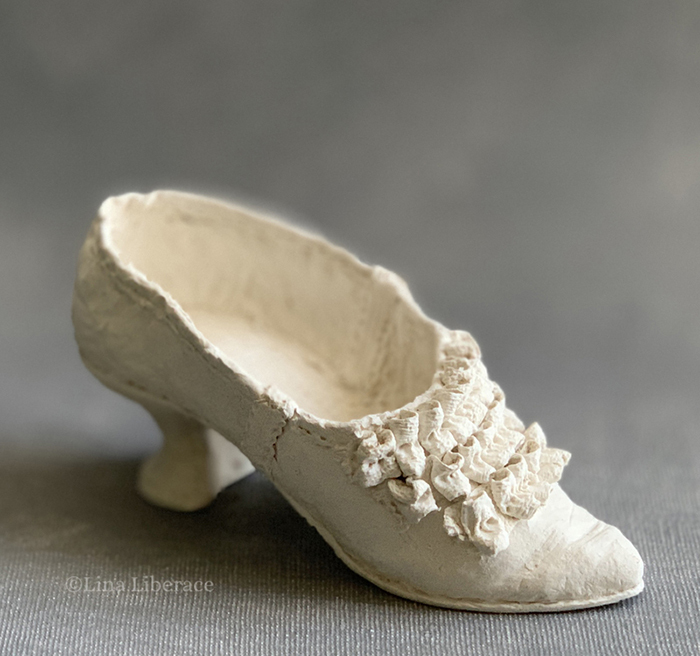 19th century English mule shoe, paperclay, 5×2 in. 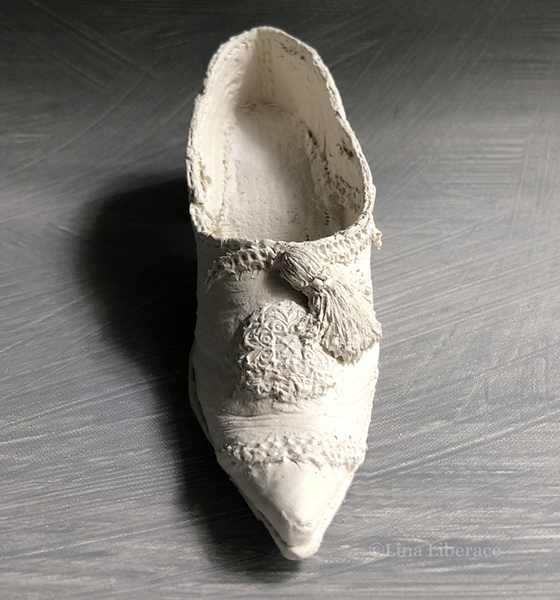 “Petite Persimmon Mule,” paperclay, acrylic, and cotton, 6×2 in. 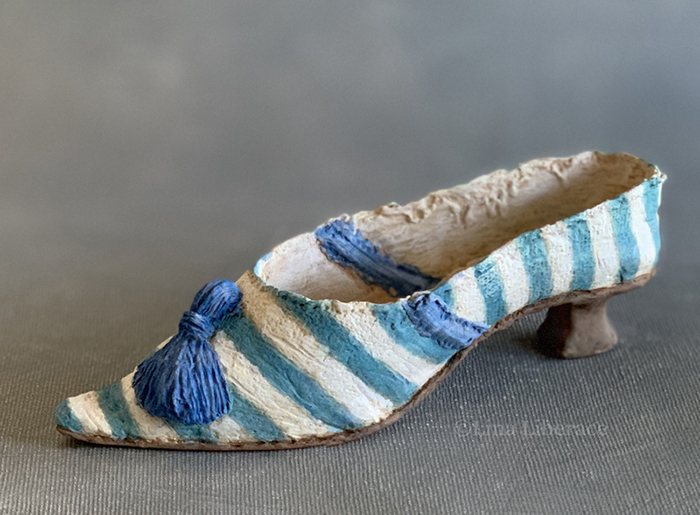 “Tassled Shoe,” paperclay and cotton, 6×2.5 in.